So began an article in the June 20, 1895 San Diego Union on a lecture by Anthony and Shaw, then president and vice president respectively of the National Woman’s Suffrage Association. The two, pioneers of the women’s movement, had come at the invitation of suffragist leaders in California. At that point in time only Wyoming and Colorado had extended the right to vote to women. 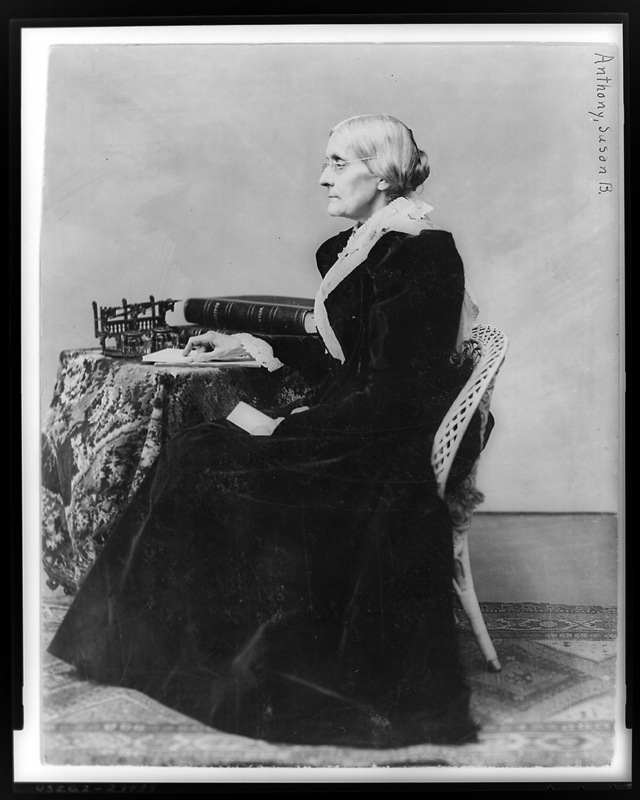 Undated photo of Susan B. Anthony, pioneer of the women’s suffrage movement. Photo courtesy Library of Congress. The evening’s program began with an invocation by the Rev. Amanda Deyo, who was followed by Flora M. Kimball, meeting chair and president of the San Diego Woman’s Suffrage Society, who introduced the speakers. Deyo and Kimball were part of a group building support for women’s rights throughout San Diego County. San Diego city and other community papers of the day carried reports of activities by suffrage clubs in Poway, Lakeside, Jamul and El Cajon, among other communities. The paper was right about support in San Diego County, where Amendment 6 passed, 4,129 to 2,717. Unfortunately, it lost statewide. But the movement would carry on and win in both San Diego County and all of California with the passage of Amendment No. 4 in 1911, and ultimately triumph nationwide with the ratification of the Nineteenth Amendment to the U. S. Constitution in 1919. 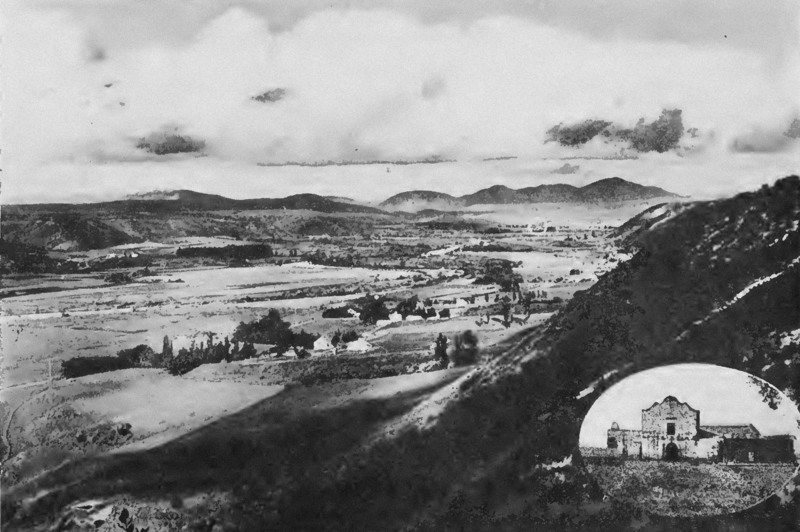 Poway Progress, March 5, 1894, p. 1. Sources indicate the name “Merle” belonged to a young son of Mr. Scott. The History Seeker’s research uncovered census records showing that E. B. Scott did indeed have a son named Merle. “An Enchanted City by the Sea—Rain and Verdure,” was the headline of a glowing column appearing in the San Diego Union’s Christmas Day, 1888 edition. Barley, oats and grain were “growing with great rapidity, and in some places the grass and grain are over fifteen inches high,” the report said. The writer of the article again signed it only with his initials, which just happened to be the same as those of the new hotel owner! The listing for Merle in the Directory of San Diego City and County:1897 stated that the Southern California Railroad had a “flag station” there, meaning it wasn’t a regular stop. That may have been the source of Mr. Eaton’s and other residents’ complaints. By 1897 Nathan Eaton had become Merle’s postmaster. He would hold that position for a few years into the early 1900s. An August 1905 item in the Union referred to Eaton as “the most extensive advertiser in the county.” But his PR skills apparently weren’t enough to promote Merle. The Merle school closed in 1903. Merle ceased to be listed as a separate community in county directories after 1909, the same year that the Merle post office closed. Merle’s identity was essentially absorbed into that of nearby Leucadia.